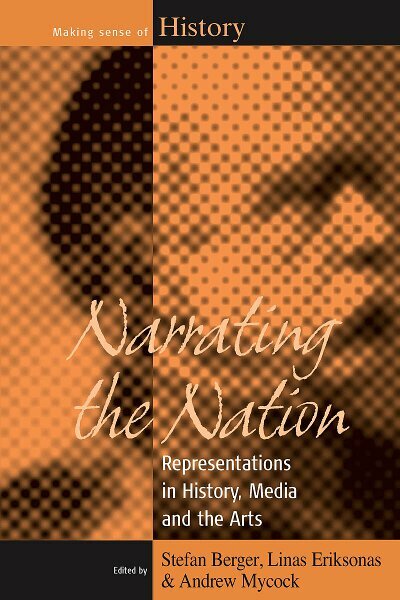 A sustained and systematic study of the construction, erosion and reconstruction of national histories across a wide variety of states is highly topical and extremely relevant in the context of the accelerating processes of Europeanization and globalization. However, as demonstrated in this volume, histories have not, of course, only been written by professional historians. Drawing on studies from a number of different European nation states, the contributors to this volume present a systematic exploration, of the representation of the national paradigm. In doing so, they contextualize the European experience in a more global framework by providing comparative perspectives on the national histories in the Far East and North America. As such, they expose the complex variables and diverse actors that lie behind the narration of a nation. Stefan Berger is Professor of Modern German and Comparative European History at the University of Manchester, where he is also Director of the Jean-Monnet-Centre of Excellence. Between 2003 and 2008 he directed the European Science Foundation Programme on 'Representations of the Past. The Writing of National Histories in Nineteenth and Twentieth Century Europe (NHIST) He has published widely in the areas of historiography, national identity and labour history. Linas Eriksonas is Project Manager of the EU 6th Framework Programme project SAL (“Society and Lifestyles: Towards Enhancing Social Harmonization through Knowledge of Subcultural Communities”). Previously he was Project Coordinator for the European Science Foundation program “Representations of the Past: The Writing of National Histories in Nineteenth- and Twentieth-Century Europe”. He is the author of National Heroes and National Identities: Scotland, Norway and Lithuania (Brussels, 2004). Andrew Mycock is a Senior Lecturer in Politics at the University of Huddersfield. He was Programme Coordinator for the European Science Foundation project, “Representations of the Past: National History Writing in the Nineteenth and Twentieth Centuries”, between 2006 and 2007. His doctoral thesis, currently being prepared for publication, provides a comparative analysis of the construction of post-imperial citizenship and national identity in the Russian Federation and Britain through the introduction of citizenship and history education programs. Policy Concertation and Social Partnership in Western Europe (co-edited with Hugh Compston).